Ladies, are you dying to put the pedal to the metal in a shiny, new Mercedes-Benz? Here’s your chance! Through September 15, just visit the Mercedes Facebook page and register for a chance to win a trip for four to participate in a one-day intensive course at the AMG Driving Academy in California! Each participant will be given the opportunity to get behind the wheel of some serious AMG machinery, like the E63 AMG, SL63 AMG, C63 AMG, SLK55 AMG and, the flagship of the Mercedes-Benz product lineup, the 563 hp SLS AMG. We can hear your hearts racing already! Even if you don’t win the big prize, you can always get a vicarious thrill by checking out the ten instructional videos Mercedes has posted on their Facebook page. 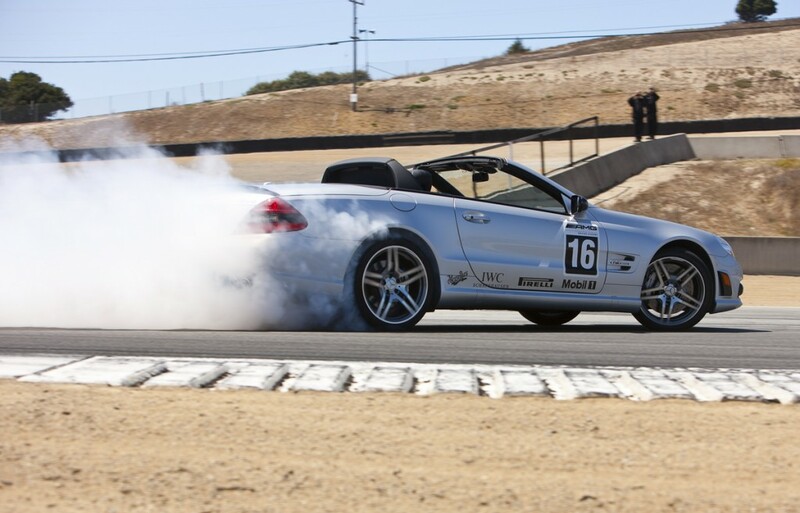 Hosted by professional racecar driver Tommy Kendall, the ten-part video series covers many of the same racing techniques taught at the AMG Driving Academy … but we know you’d rather experience the real thing, so enter today!